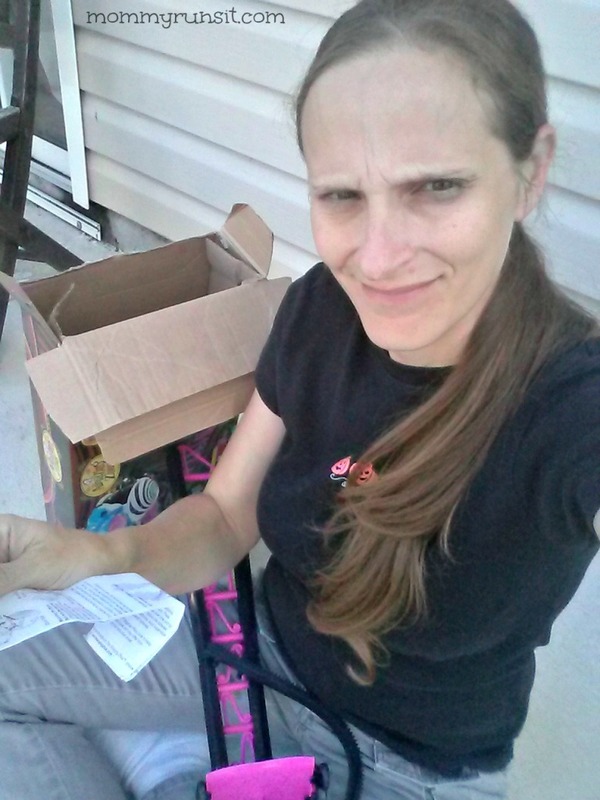 I received free products in order to facilitate this review. All opinions are 100% mine. Please see my Disclosure Policy for more information. I try not to sugarcoat my family life. Trust me – I’d love to be one of those bloggers with gorgeous, sunny photos of picture perfect children happily playing together with new toys. Yeah, not gonna happen this time. So here’s the deal. I had this lovely little plan to have my daughters try out the Amazing Zhus and then tell you all about them in a vlog post like this one. 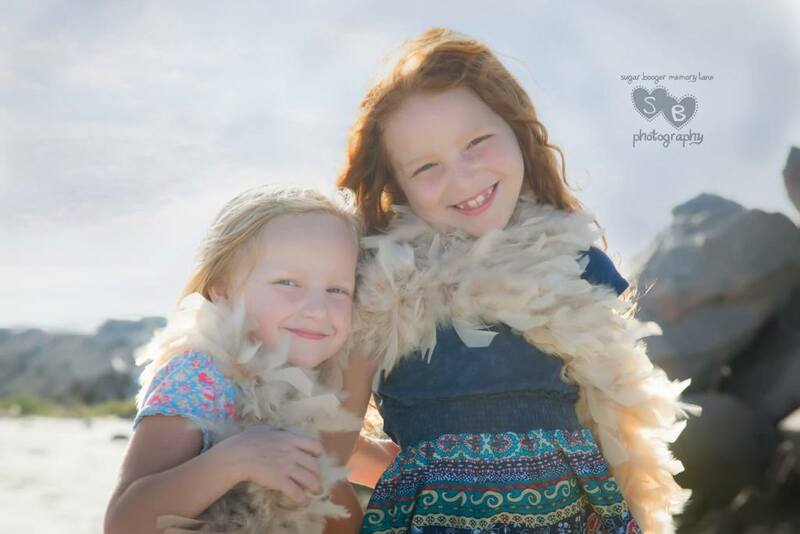 My girls were totally excited to make their video and couldn’t wait to play with their new toy. Notice that I said TOY. Singular. That should’ve been my first clue – but I was optimistic. Surely my 6 year old and almost-9 year old could share a toy, especially one that came with enough accessories to go around. Right? They fought about who got to take the toys out of the box. They fought about whose turn it was to hold the magic wand. They fought about where she would sleep. They fought about whether or not she could come to school and in whose backpack she would ride. They fought about which friends were allowed to hold her on the school bus. So after two really ugly fights before school, two mornings in a row, both of which left all 3 of us in tears, I finally did what I should have done in the first place – I took the whole thing away from both of them. So there will be no adorable vlog post today, folks. My kids couldn’t even keep the peace long enough to pose for a photo. You’ll just have to take my word for it that Madame Zhu and her accessories were so popular in my house that they nearly incited a riot. 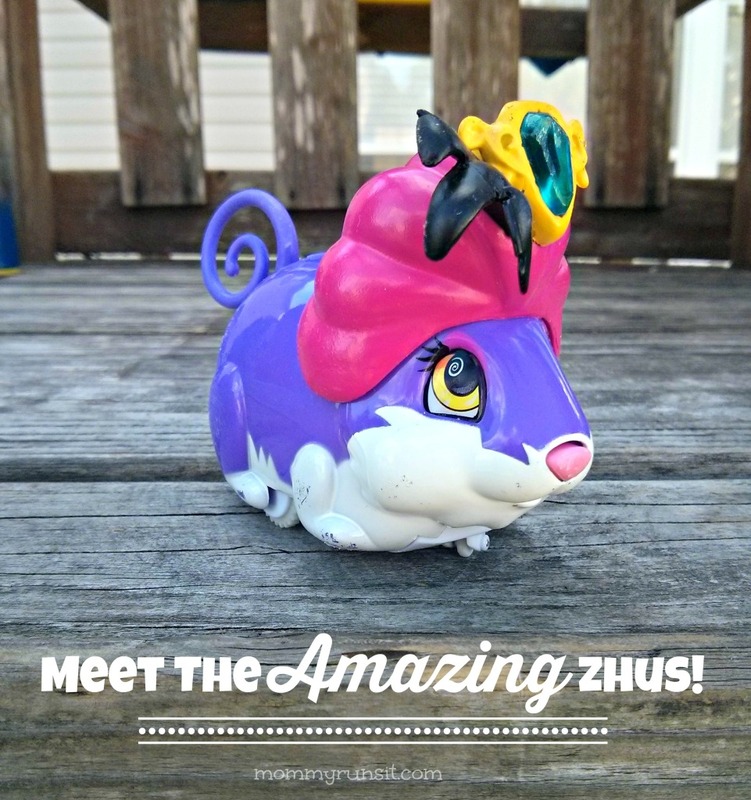 The Amazing Zhus™ Stunt Pets perform astounding acrobatics and gravity defying stunts! They can plunge over 3 feet from the High Dive into a bucket below, brave a Tightrope, run around on Circus Balls, and vanish in a Disappearing Box! The Amazing Zhus™ Magician Pets are motorized pets that will amaze your friends as they perform magic tricks and gravity-defying stunts. The Amazing Zhus™ Magician Pets can correctly guess the answers to the Magician’s Cards – without even looking, follow the Magic Wand wherever you lead them, or predict the pea’s location in the Shell Game trick – every time. They even magically find their own way home to the Magician Houses! These talented pets can also perform stunts – including the High Dive and High Wire acts as well as the disappearing box! You can find them online at www.walmart.com/amazingzhus, where they’re already starting to fly off the shelves. Some products are currently out of stock online. Okay, so obviously my kids love the Amazing Zhus. 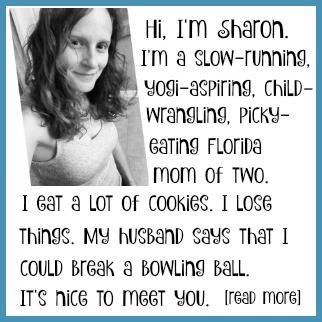 My review from a mom’s perspective is a bit more mixed. 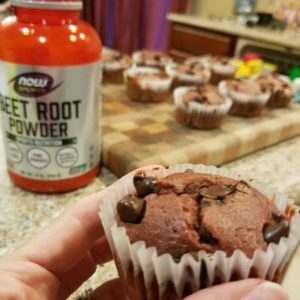 Let me break it down by product – we got to try 3 of them. Madame Zhu is one of the two Magician Pets. Her male counterpart is called The Great Zhu. Each Magician Pet comes with a Magic Wand and 3 Magic Cards. Through the magic of RFID and IR technology, the Magician Pets and their accessories replicate the appearance of magic. They will follow the magic wand wherever it goes, and they can correctly guess the answers to the Magic Cards without peeking. The pets themselves are pretty cute and kept my kids entertained. The Amazing Zhus Magician Shell Game is also pretty neat. Hide the (giant) Pea under one of the 3 Shells, shuffle them around, and let the Magician Pet find the Pea. I like that the pieces are large and easy for little fingers to maneuver, which also makes them (slightly) less likely to get lost. The kids loved watching this trick over and over, and I even thought it was kind of fun the first few times. Madame Zhu doesn’t work well on carpet, so I’d recommend setting the Shell Game up on a table, patio, or other large, flat surface. The Amazing Zhus High Dive. Here’s how it’s supposed to work, according to the product description. “Watch as the Amazing Zhus free fall a spine-tingling 30 inches from the High Dive into a tiny bucket of water below! They may act scared at first but eventually they will work up the courage and make the brave leap of faith!” And it might have worked like this…if only we could have figured out how to put it together. Well, I take that back. My husband did put it together (after I spent 45 aggravating, muttering-under-my-breath minutes trying it myself), but it comes apart very easily and needs to be reassembled with every use. This particular accessory is large, difficult to assemble, and appears to be designed for only one trick. And even though the kids like it, I wouldn’t recommend it. If you’re looking for a larger accessory to go along with your child’s Magician Pet, there are several others to choose from: The Disappearing Box Trick, The Circus Ball, and the High Wire. The Amazing Zhus are recommended for ages 4+ and range in price from $7.99-$24.99, and they are available exclusively in Walmart stores nationwide. 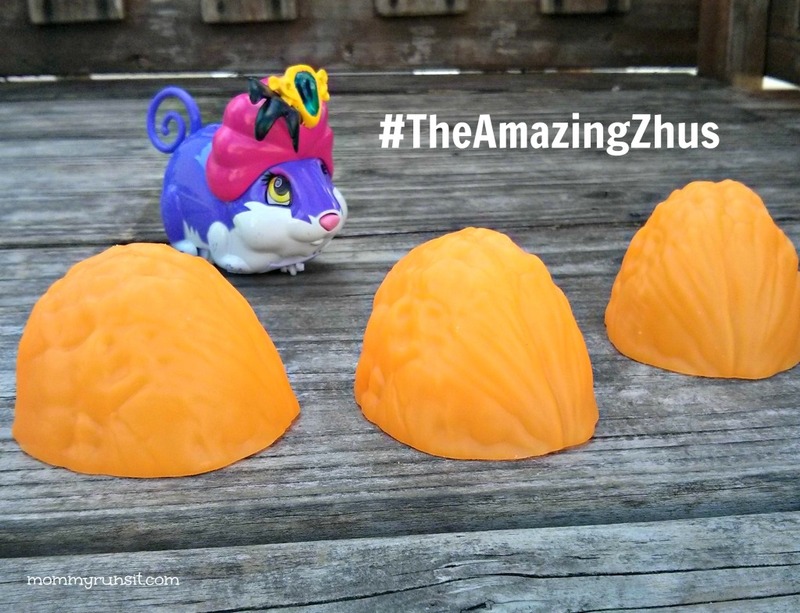 You can learn more about The Amazing Zhus online at www.AmazingZhus.com, and you can use the hashtag #TheAmazingZhus to interact with them on Twitter, Facebook, Pinterest, Instagram, YouTube, and Vine. My kids bicker over everything! I am considering this as a Christmas gift but I hate things that make noise!